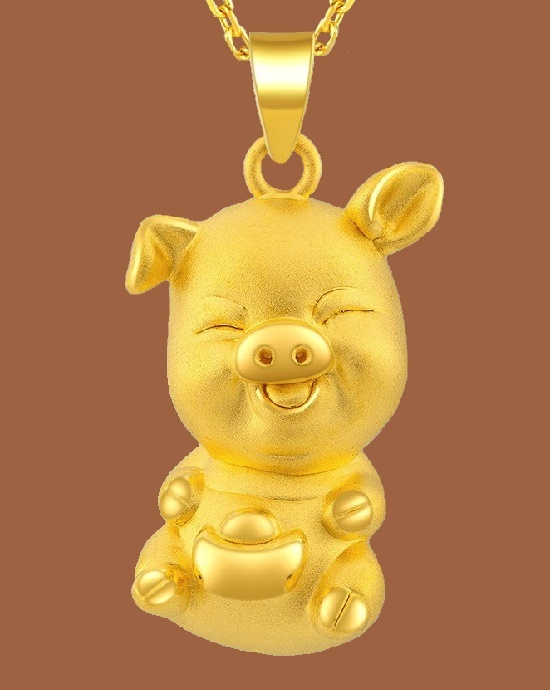 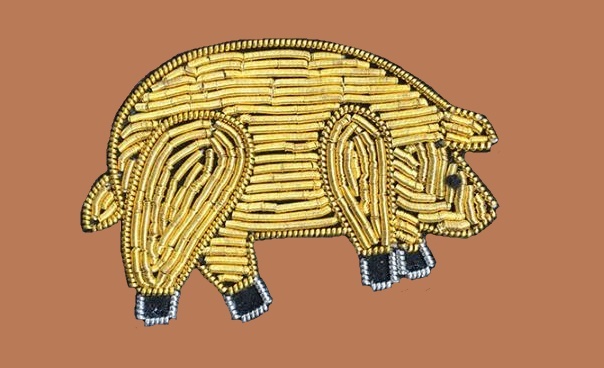 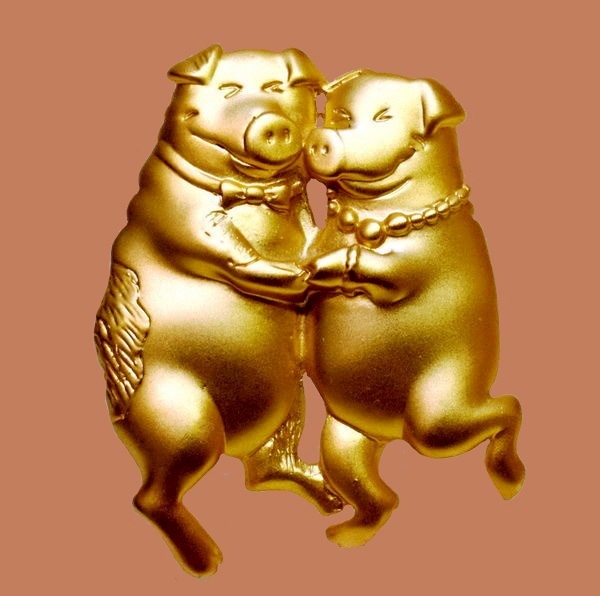 Do you want the coming new year of the yellow earth pig to bring you happiness? 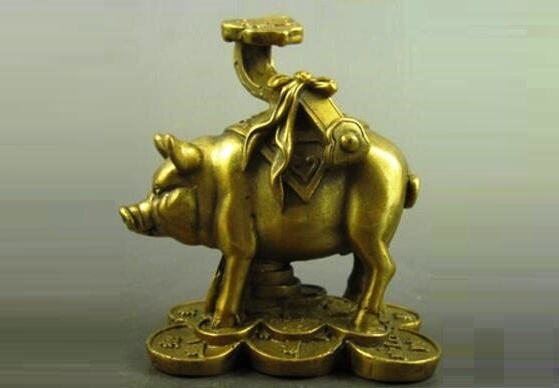 Then treat the pig with reverential respect! 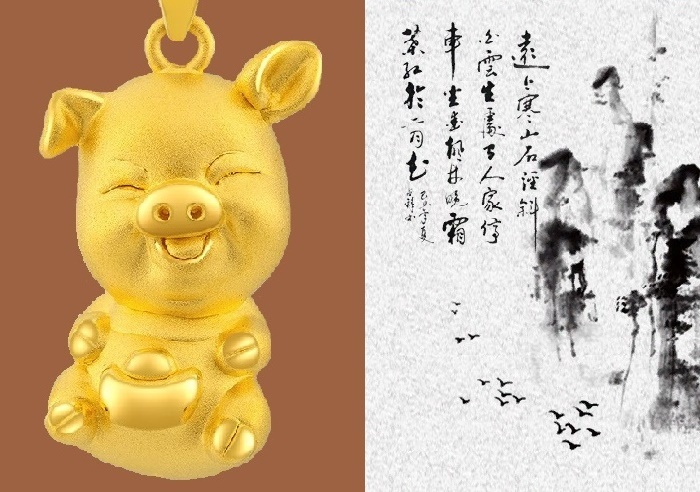 In particular, buying various souvenirs, brooches and talismans with its image. 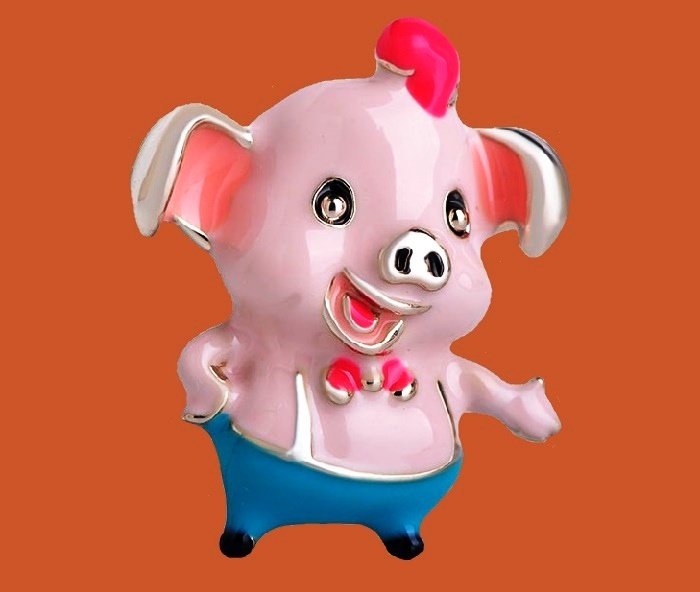 This will amuse her self-esteem and guarantee her friendly disposition towards you. 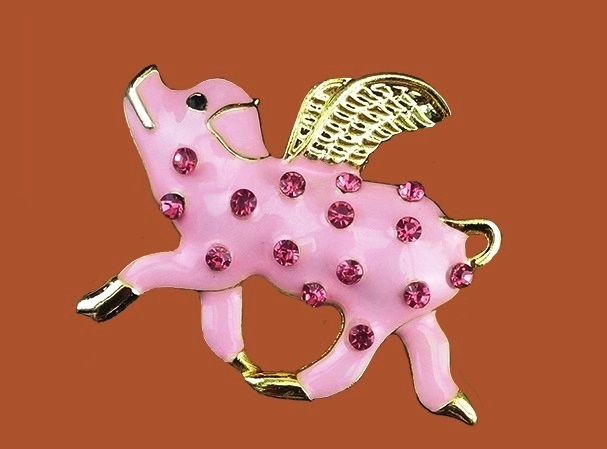 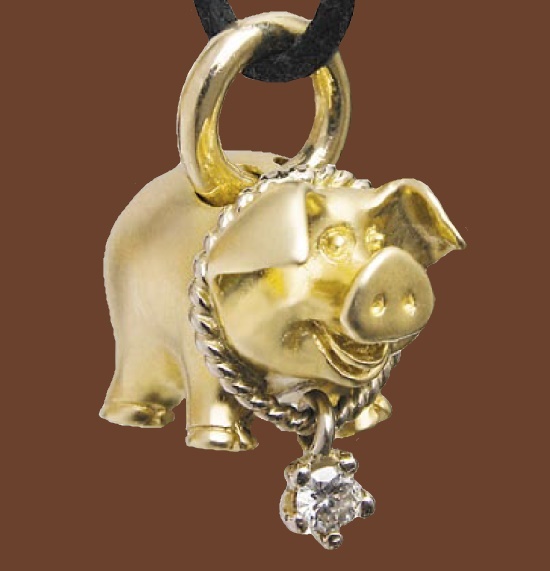 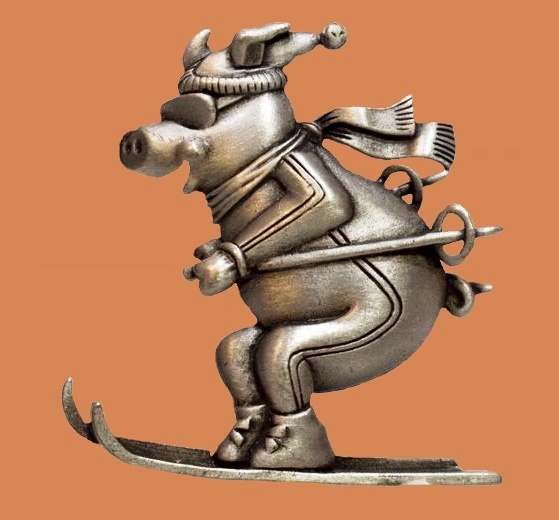 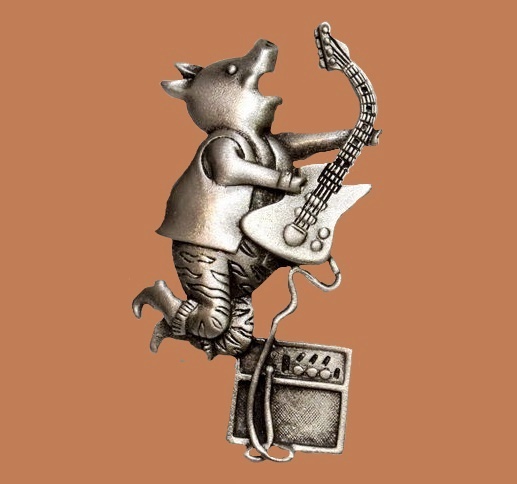 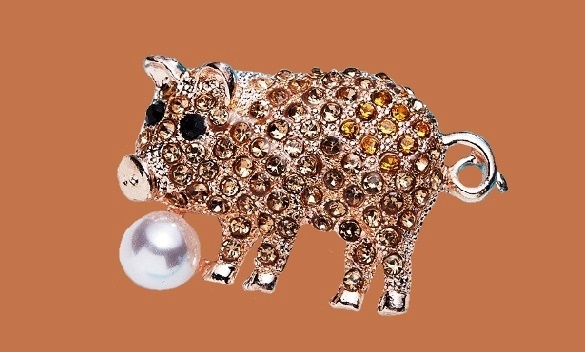 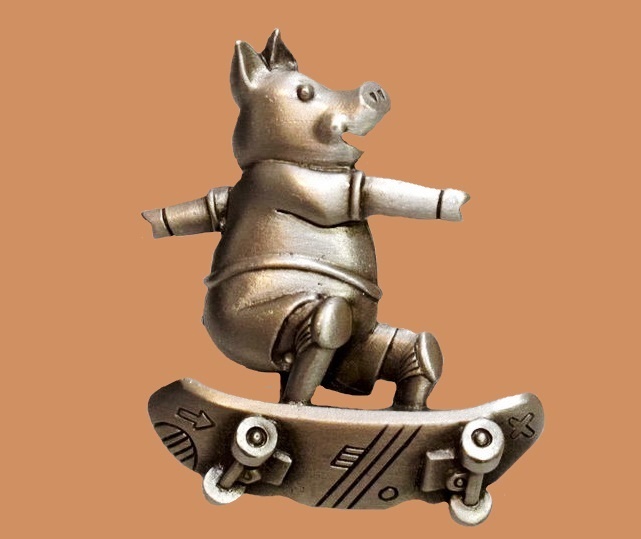 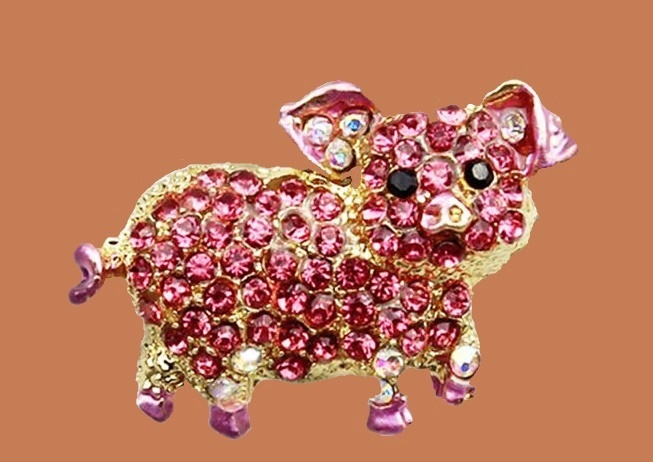 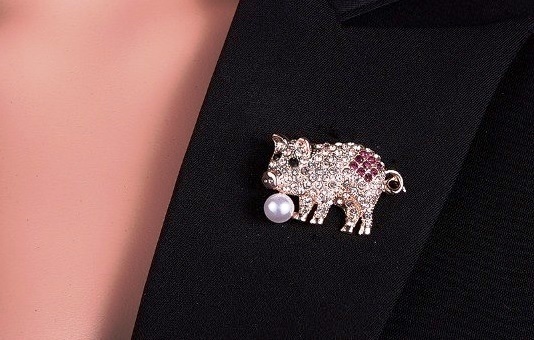 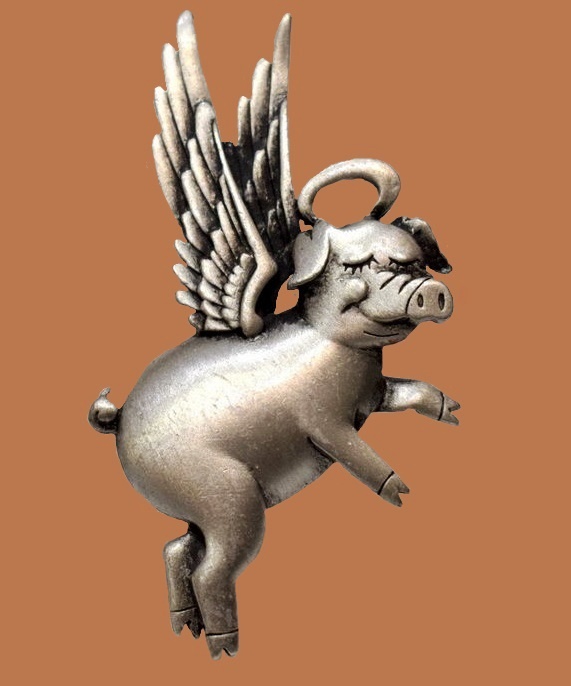 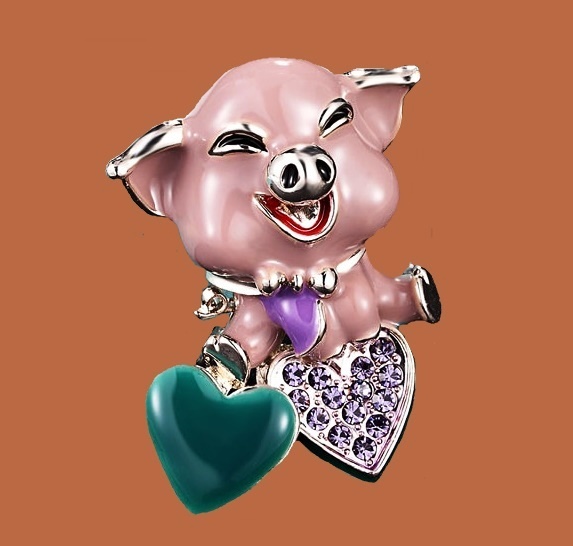 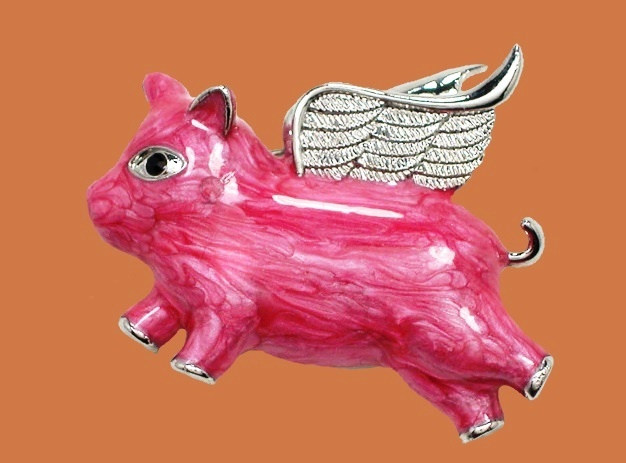 Noteworthy, in the upcoming 2019 jewelry may not only be in the form of a pig. 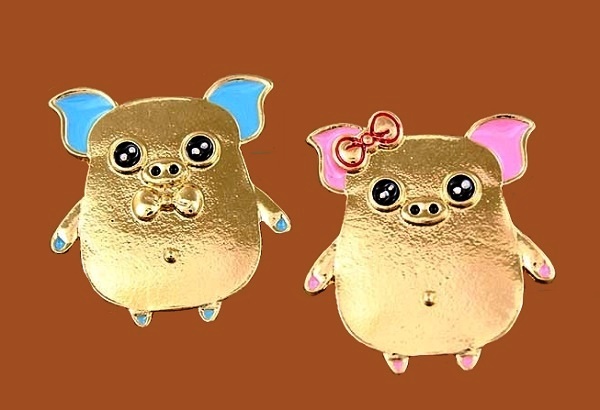 Following the color of the year, choose gold or yellow (enamel) color brooches, necklaces, bracelets and earrings. 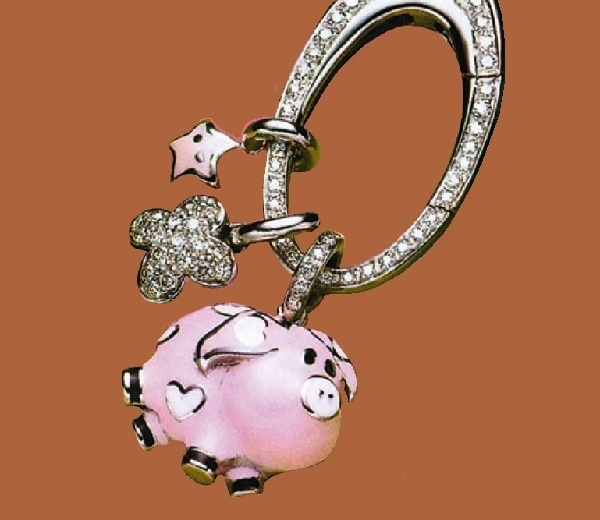 Color is more important than the form of jewelry. 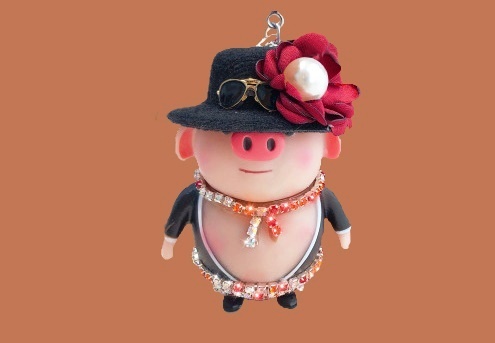 To show your respect toward the symbol of 2019, start with decorating the tree with the pig Christmas balls. 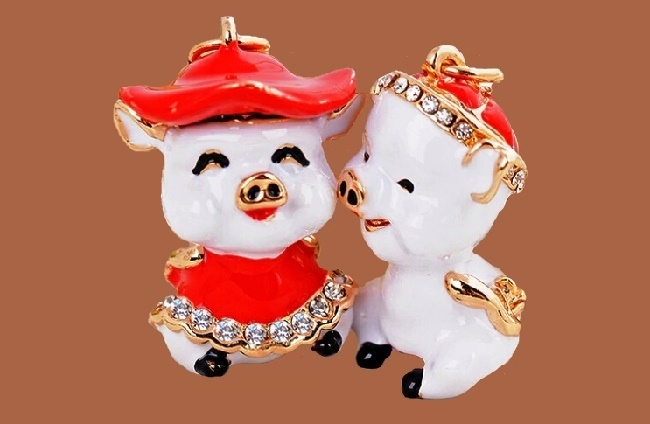 Any Christmas toy with a picture of a cute pig, a toy “Pig with beads”, a cute wooden handmade souvenir will be an ideal gift for all occasions. 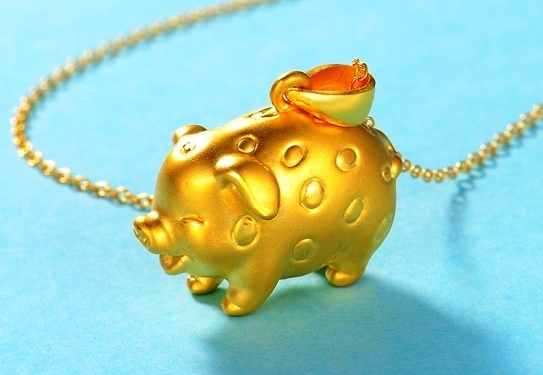 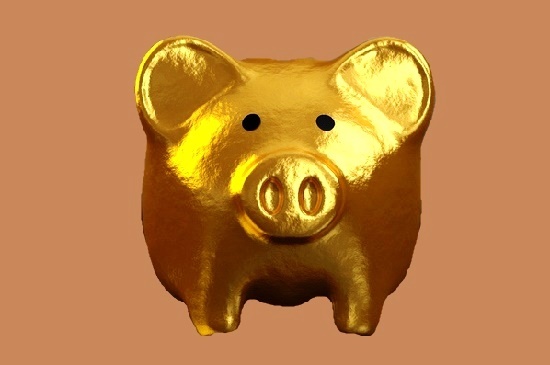 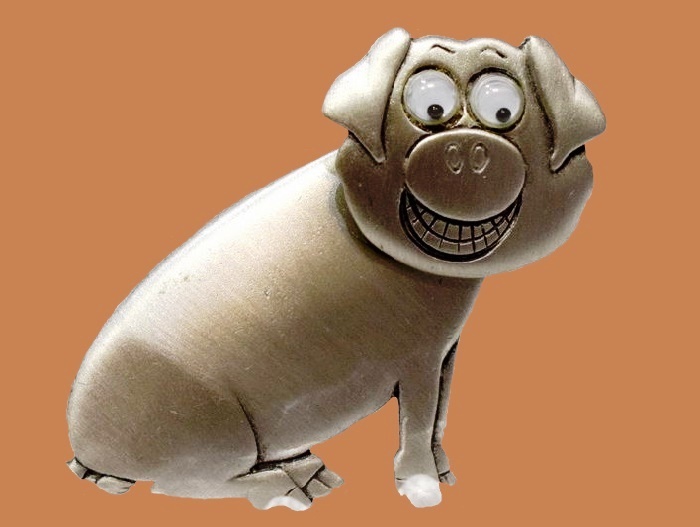 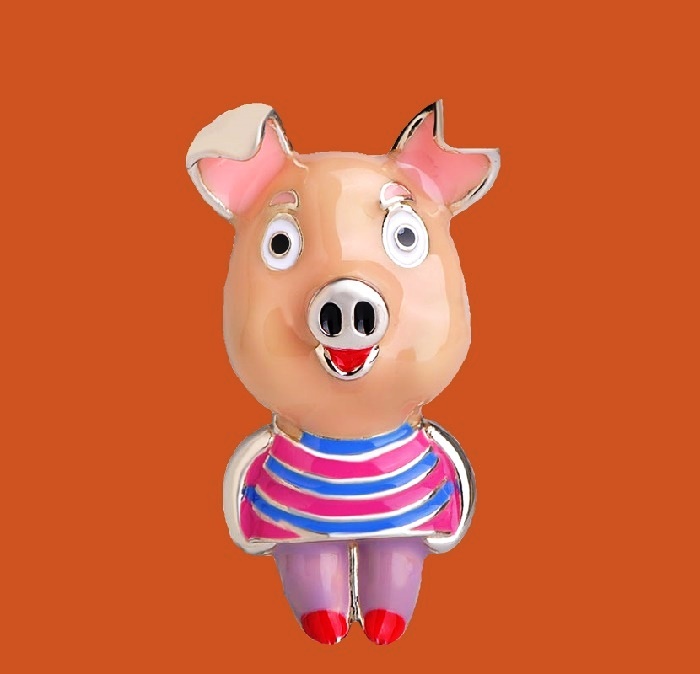 As ever, a gift in the form of a pretty piggy-piggy bank for money will be an ideal choice. 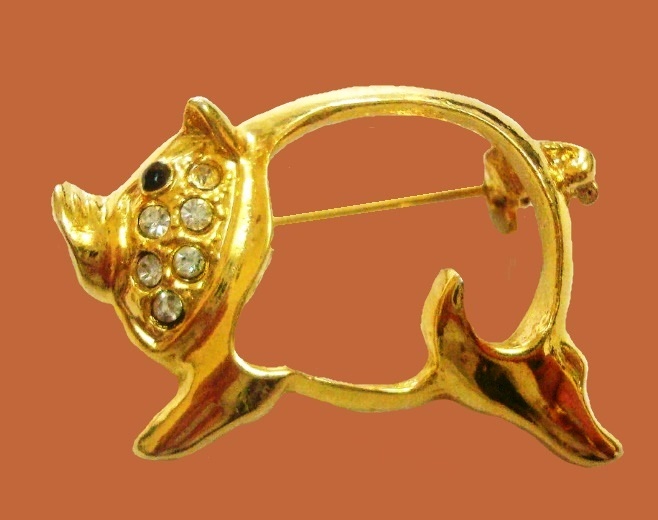 Traditionally, any animal from the Chinese calendar cycle inspires jewelers to create exquisite costume jewelry for all the signs of the zodiac. 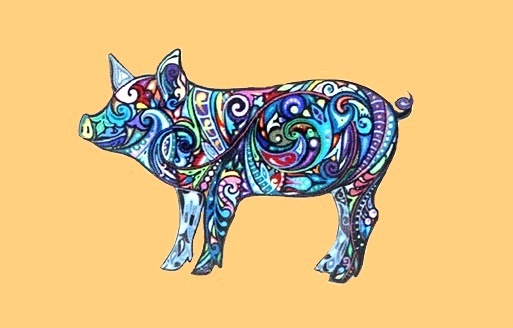 This post features the 12th sign of the Chinese Zodiac – Boar or Pig. 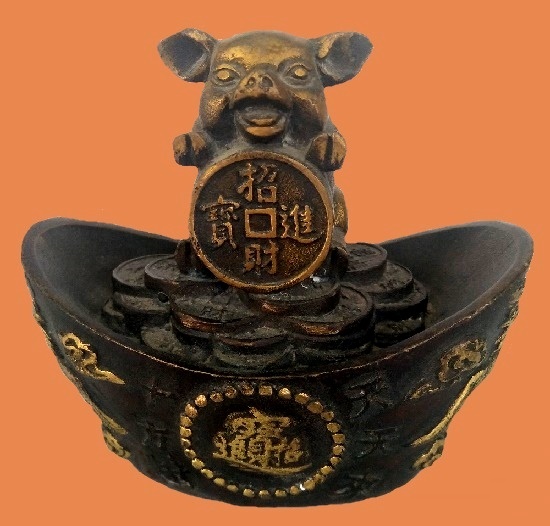 Meanwhile, in ancient times, no marriage could be concluded as long as the parents of the bride and groom do not exchange their “eight characters” information. 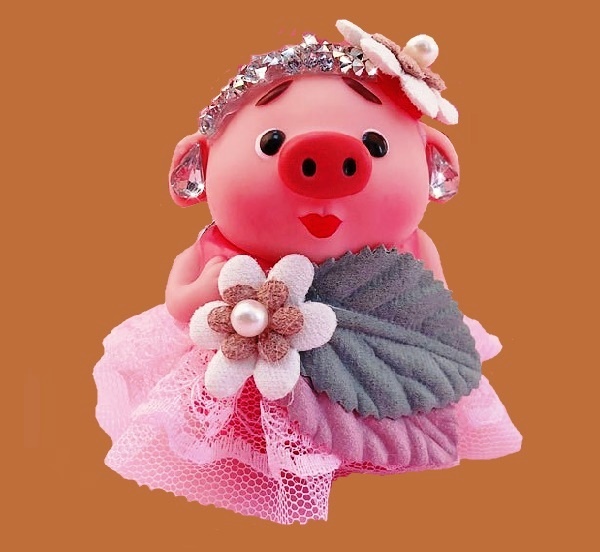 In particular, the year, month, day, hour, and so on of birth of the young.